Fishing is free for guests staying at the cottages. Fishing equipment can be purchased, along with other equipment, from the Homeleigh Garden Centre and Angling Centre 400 metres up the road. The river is the lower farm boundary between Devon and Cornwall and has a good number of pools along its 1.2 km stretch. Trout and grayling may be caught as well as salmon in season. Salmon/sea trout fishing season 1st March - 14th October, trout fishing season 15th March - 30th September and grayling season 16th June - 31st October. 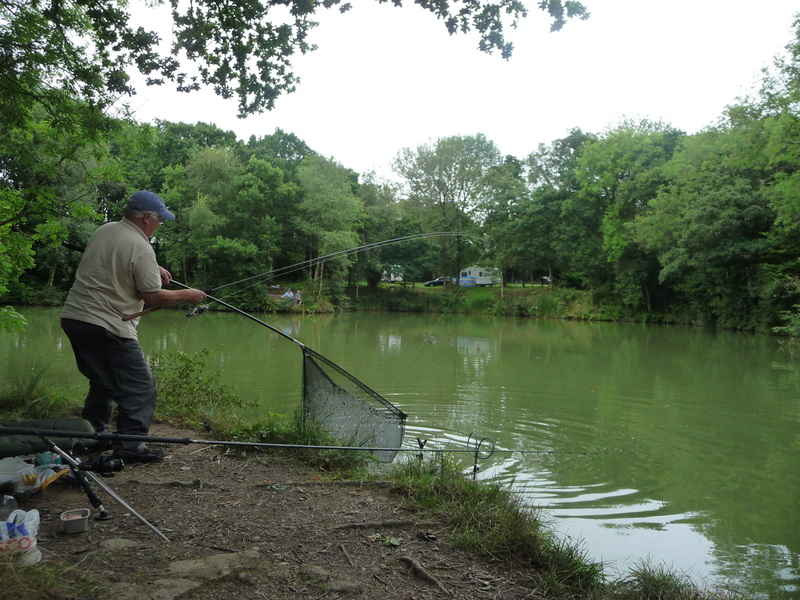 We have a coarse fishing lake, each swim is different with various depths and angles. The fish stocked are; mirror and common carp (some weighing over 20lb - see our photo album! ), tench, bream, perch, rudd and roach. There is no closed season. Ample parking right by the water with toilets on site.